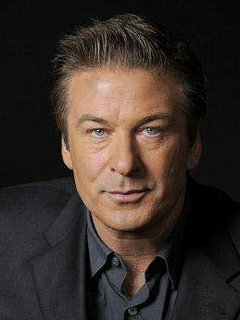 Raven haired, suavely handsome and prolific New York-born actor Alec Baldwin is easily the best known of the four Baldwin brothers appearing in the cinema (for the record, the others are Stephen Baldwin (I), William Baldwin (I) and Daniel Baldwin (I)). Alec burst onto the TV scene in the early 1980s with appearances in several series, including "The Doctors" (1963) and "Knots Landing" (1979), before scoring several decent feature film roles in Forever Lulu (1987), Beetle Juice (1988), Married to the Mob (1988) and Talk Radio (1988). In 1990 Baldwin appeared in the first on-screen adaption of the Jack Ryan character created by mega-selling espionage author Tom Clancy (I). The film, The Hunt for Red October (1990), was a tremendous success, with Baldwin appearing alongside icy Sean Connery (the world's first Russian sub commander with a thick Scots accent! ), Unfortunately, Baldwin fell out with Paramount Studios over future scripts for Jack Ryan, and subsequent Ryan roles went to Harrison Ford (I). It was a minor blip on Baldwin's horizon, and he then contributed interesting performances as a lowlife thief pursued by dogged cop Fred Ward (I) in Miami Blues (1990), in the Neil Simon (I) comedy The Marrying Man (1991) and an absolutely dynamite ten-minute cameo as a hard-nosed real estate executive laying down the law to Ed Harris (I), Jack Lemmon (I) and Alan Arkin in the punishing Glengarry Glen Ross (1992). Further demand for Baldwin's talents saw more strong scripts swiftly come his way, and he starred alongside his then wife Kim Basinger in a remake of the Steve McQueen (I) action flick The Getaway (1994), brought to life the famous comic strip character The Shadow (1994) and was superb as an assistant district attorney in the civil rights drama Ghosts of Mississippi (1996). Baldwin's distinctive vocal talents then saw him voice US-aired episodes of the highly popular UK children's show "Thomas the Tank Engine & Friends" (1984), plus later voice-only contributions to other animated/children's shows including "Clerks" (2000), Cats & Dogs (2001), Final Fantasy: The Spirits Within (2001) and The SpongeBob SquarePants Movie (2004). The versatile and enigmatic Baldwin has remained consistently busy over the past decade with appearances in a mixed bag of movies: as Capt. Jimmy Doolittle in the mammoth love story of Pearl Harbor (2001) and a violent casino boss intimidating luckless William H. Macy in The Cooler (2003). He picked up scathing reviews (as did the entire cast) for the box-office disaster The Cat in the Hat (2003) and he starred in the quirky Along Came Polly (2004) alongside Ben Stiller and Jennifer Aniston. 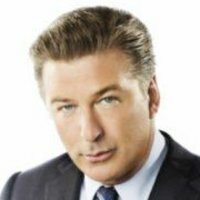 With audience demand for his talents, and his now recognized box office clout, it remains obvious to all the Alec Baldwin will keep very busy in front of the camera for many years to come. Wrote "Tabloid," an episode of _"Law & Order" (1990)_ (qv), based on his own experiences with tabloid reporters. Was nominated for Broadway's 1992 Tony Award as Best Actor (Play) for playing Stanley Kowalski in a revival of 'Tennessee Williams' (qv)'s "A Streetcar Named Desire," a performance he recreated in a television version of the same title, _A Streetcar Named Desire (1995) (TV)_ (qv). Has done voice-over work in television ads for both General Electric and Subaru. No relation to actor 'Adam Baldwin' (qv). Wrote "Tabloid" episode for the television show _"Law & Order" (1990)_ (qv) which was part of the 1998 season because of his own experience with tabloid reporters. He is frequently referred to as Irish-American and, although both of his parents have Irish heritage, he is not entirely Irish. His father was half-English and his mother's side is primarily French (only one-quarter Irish). Received an Honorary Doctorate of Letters from Montclair State University at their 2004 Graduation. (1990) Chosen by People magazine as one of the 50 Most Beautiful People in the world.